In the previous post, I left off the history of astronomy with Claudius Ptolemy, the last and greatest of the astronomers of ancient times. It was Ptolemy who brought the science of astronomy to its apex in classical times. In his treatise, the Almagest, as the Arabs came to call it, Ptolemy worked out the geocentric model with the complex system of epicycles that the ancients believed described the universe, along with a catalog of stars and constellations and tables of information on the motions of the planets and eclipses of the Sun and Moon. So well did Ptolemy do his work that the Almagest was the accepted text on astronomy for over twelve hundred years. Throughout the Early Middle Ages, the Muslims translated Greek texts into Arabic and so helped to preserve them until Western scholars could translate them into Latin once things had settled down in the West. The importance of the Arabic contribution can be seen by the fact that Ptolemy’s book is known by its Arabic title, not to mention that many stars are known by names derived from Arabic; Betelgeuse, Algol, Aldebaran, Deneb, Vega, and many others. Over time, the Arabs, and later the Europeans, developed better instruments for observing the positions of the stars and planets in the sky and to predict the motions of the planets. As their techniques improved, astronomers were able to revise and update the information on planetary motions collected by Ptolemy, and they also found that more epicycles were needed to explain and predict planetary motions. The Ptolemaic model began to seem increasingly over complicated. The last major revision of the tables of planetary motions was commissioned by King Alfonso X of Castile in the thirteenth century. Alfonso, called “the Wise” was known as a patron of many branches of learning and was himself conversant in the science of astronomy. He is supposed to have remarked that if God had consulted him during the creation, he might have suggested a simpler system than the complicated bicycles of Ptolemy. The king almost certainly did not say this, but the sentiment was shared by many who began to believe the universe shouldn’t be so complicated. Among these was a Polish priest who lived some two hundred years after Alfonso. This priest was named Mikolaj Kopernik, better known by the Latinized version of his name, Nicolaus Copernicus. Copernicus was a true renaissance man who was learned in such diverse fields as mathematics, canon law, medicine, economics, classical languages, diplomacy, politics, and astronomy. It is in that last subject that he is remembered today. Copernicus came to realize that understanding the motions of the planets would be much easier if he simply assumed that the planets revolved around the Sun rather than the Earth. The retrograde motions of the planets could simply be explained by their overtaking the Earth as they orbit the Sun. 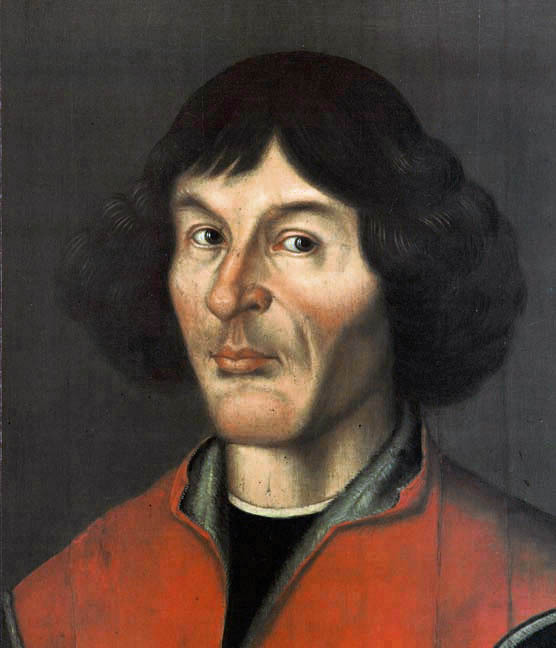 Copernicus seems to have developed his heliocentric theory by 1514 and spent much of the rest of his life working on his book “De revolutionibus orbium coelestium” or “On the Revolutions of the Heavenly Spheres”. Although Copernicus showed the manuscript to his friends and interested scholars, he was reluctant to actually publish his masterpiece for fear of the public ridicule such a radical theory might bring him. It was only after his friends assured him that the book would be favorably received and he was dying that Copernicus agreed to publish De revolutionibus in 1543. De revolutionibus was favorably received by the few people who actually read it. 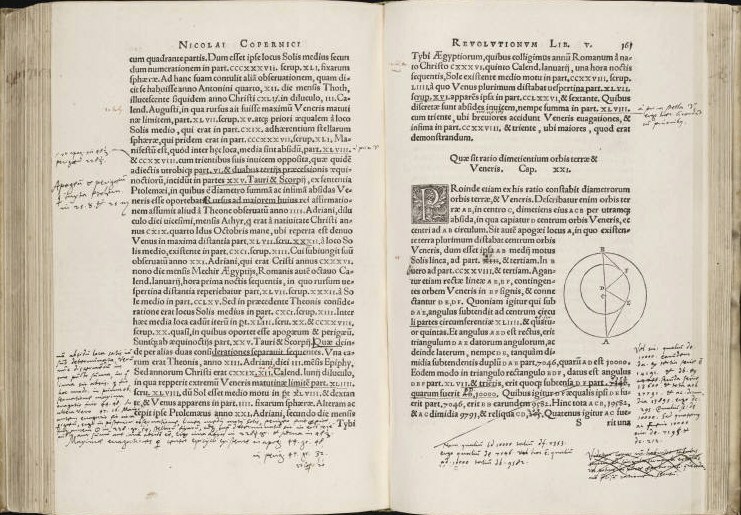 The fact was that Copernicus’s book was so abstruse and technical that only astronomers and mathematicians could really appreciate and understand it. It was in Latin and the script was hard to read too. Copernicus’s heliocentric model was not generally accepted for some time. The fact that the assumption that the Sun was at the center of the Solar System made calculating the motions of the planets less complicated did not necessarily made that assumption true and there was good reason not to believe the Earth moved. In fact, the Copernican model did not make the calculations that much less complicated. Like Aristotle and Ptolemy, Copernicus believed that the planets moved in perfect circles and his theory still required some epicycles to agree with observations. It was not until 1610 when Johannes Kepler proposed his first law of planetary motion, that the planets orbit the Sun not in circles that the need for epicycles was finally done away with. The heliocentric model then clearly provided a simpler means of understanding the motions of the planets and so was quickly adopted by most astronomers even though there was not yet clear proof that it was actually true. Which brings us back to Galileo and the Church. In 1632, the year Galileo was tried by the Inquisition, the heliocentric model was rapidly gaining acceptance, yet from a strictly scientific viewpoint, the Church was quite correct in regarding the model with skepticism, even if it was not correct from any viewpoint to put Galileo on trial, although as I said Galileo himself was mostly to blame for his troubles. And, here I have to ask again, why was the heliocentric theory adopted a century before it could be proven beyond a reasonable doubt? Scientists like to portray themselves cool, logical, unbiased observers interested only in the facts, that is the results of their observations and experiments. Any hypothesis, no matter how attractive, must be put aside if the observations do not agree with it. In fact, scientists are subject to the same sorts of biases as everyone else and a candid view of the history of science will show many instances when scientists have clung to a hypothesis even when the facts seem to show otherwise. This is not always a bad thing. I would even go further and state that this is often a good thing. Sometimes intuition serves as a better guide to discovering the truth than logic and sometimes finding the truth requires ignoring the facts that seem to point in a certain direction while pursuing an underlying truth. One of the biases that has proven to be most useful in understanding the nature of the universe we live in is the idea that the universe is, as bottom, a simple place that we can understand. If things get to be overly complicated, it is usually taken as a sign we are moving in the wrong direction and should seek a simpler explanation. This is no scientific reason for believing this is the case, yet this bias has proven to be useful over and over again. Ptolemy’s epicycles became more and more complicated, so astronomers switched to the simpler heliocentric system, and were proven right. Physicists and chemists in the nineteenth century were dismayed to discover more and more chemical elements with no clear pattern, until they discovered that all these elements could be explained by the three particles, electrons, neutrons, and protons found in the atoms of every element. Physicist were then confused by the many sub atomic particles they kept discovered, until they learned that these particles were composed of a handful of still smaller particles called quarks. This is really the essence of science, to find simple patterns to explain complex phenomena and this process requires intuition and imagination as much as it requires logical thinking and careful observation. So, Galileo was right, even when he was wrong. That is the idea behind an odd website that I found which promotes the theory of geocentrism or the idea that the Earth is the center of the Solar System and that the Sun revolves around the Earth. Geocentrism was, of course, the idea held by every astronomer and scientist up until 1543 when Nicolaus Copernicus proposed his heliocentric, or Sun centered, model of the Solar System. For about a century there was a fierce debate among scientists and philosophers over the true structure of the universe. Heliocentrism won out, of course, and no educated person of the twenty-first believes that the Earth is at the center of the universe. Because of this, those who historically had supported Copernicus’s model, such as Galileo are held to be on the right side of science and history, while those who clung to the older geocentrism, such as many officials of the Roman Catholic Church, seem to have been backwards and on the wrong side. This website contends that in the controversy between Galileo and the Catholic Church, the Church was, in fact, in the right and Galileo was in the wrong, hence the title. The strange thing is that the website is actually correct, in a funny sort of way. Galileo really was in the wrong and the Church was right to be skeptical of Copernicus’s theories. The controversy between Galileo and the Church has often been depicted as part of the never ending battle between the light of science and religious ignorance. It is generally accepted by historians today that Galileo’s troubles had far less to do with an alleged anti-science position taken by the Catholic Church and more to do with contemporary Italian politics and Galileo’s own irascible personality. What is generally less well known is that the Church had good scientific reasons to oppose Galileo. Neither Copernicus or Galileo had any way to prove that the Earth moves around the Sun. 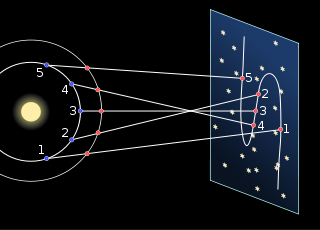 With his telescope Galileo did discover the four largest moons of Jupiter and the fact that Venus shows phases, which indicates that it orbits the sun. These discoveries were certainly suggestive in that they showed that not everything in the sky directly orbited the Earth, but it was possible that while Venus and the Galilean satellites orbited the Sun and Jupiter, the Sun and Jupiter revolved around the motionless Earth. In fact, there wouldn’t be any conclusive proof that the Earth moves until eighty years after Galileo’s death when the astronomer James Bradley discovered the phenomenon of the aberration of light caused by the Earth’s motion through space. By this time, there was hardly any doubt about the Earth orbiting the Sun. Why were astronomers so quick to discard the millenia-old and common sense idea that the Earth rests motionless at the center of the universe without any direct proof? The answer is that a heliocentric Solar System better accounted for the motion of the planets. In order to understand this, we will have to go back to the origins of the science of astronomy. No one knows where or when people began to really observe the night sky and take note of the motions of the heavenly bodies. It must have seemed obvious that the Earth was a flat surface with the sky a dome enclosing it. The Sun, Moon and stars rose into the sky moved from East to West across the sky and then set beneath the Earth. At some point, these early observers noticed that not all of the objects in the sky moved along with the background of stars. These objects seemed to wander about the sky, so the Greeks referred to them as planetes, or wanderers. There were seven of these “planets”. the Sun and Moon, and five star like objects that were named Mercury, Venus, Mars, Jupiter, and Saturn. It may seem strange to refer to the Sun and Moon as planets but they like the other planets, moved across the sky against the background of the fixed stars. The Greeks and the Romans knew that the Earth is round and the Greek philosophers such as Plato and Aristotle held that the circle was the perfect shape. Because they believed that the Heavens were perfect and unchanging, as opposed to our corrupt and changing Earth, they believed that the seven planets orbited the Earth in perfect circles. This was the model proposed by the ancient Greek astronomers, especially the last and greatest of the Hellenistic astronomers, Claudius Ptolemy, who lived in the second century AD. For this reason the geocentric model is often called the Ptolemaic model. There was a major problem with the model proposed by the ancient Greeks, the planets do not move in perfect circles across the sky from West to East against the background of the stars. The planets moved in different paths across the sky and at different speeds. Sometimes they seemed to move backwards in what was called retrograde motion. This apparent retrograde motion is is observed because the planets revolve at varying distances from the Sun and so orbit at varying velocities around the Sun. The Earth being closer to the Sun than Mars travels faster than Mars and so occasionally overtakes the other planet. Venus and Mercury travel faster than Earth and overtake us occasionally. You might be able to get an idea of how this works by considering a group of cars travelling on an Interstate. If I am driving at 60 miles per hour and pass a car that is going at 55 miles per hour, that other car will seem to be going backwards even though we are both going in the same direction. As a car travelling 65 miles per hour passes me, I will seem to be moving backwards to them. In order to account for these dependencies between Aristotelian theory and astronomical observations, Greek astronomers hypothesized that while the planets move in perfect circles, they also moved in smaller circles within the circles. Thus, the heavens were full of wheels within wheels. It was Claudius Ptolemy who developed this system to the form that was used in Medieval astronomy. It is easy to disparage Ptolemy for developing such a cumbersome system of concentric circles, but remember he did not have the telescope or many of the instruments invented to observe the motions of the planets that came into use in later years. He certainly cannot be blamed for assuming that the Earth is motionless. After, we cannot feel the Earth move and if we had to go by our own personal observations, we could only conclude the same. In fact, Ptolemy’s system was able to predict the motions of the planets with a high degree of accuracy and this was what the ancient and medieval astronomers were most concerned with. There is much more to say about how later generations of Islamic and European astronomers refined and improved Ptolemy’s model as better astronomical instruments were invented and how Ptolemy came to be at last dethroned, but I am afraid that will have to wait for another post. Your Love Horoscopes for Monday, March 2nd (witchesofthecraft.com) Of course astrology was a major reason for observing the planets in ancient times. It is depressing to note that people still believe in such nonsense.